(Market Watch) – The Pew Research Center released a major report Monday on America’s shrinking middle class. MarketWatch spoke to several people about what it means to be middle class in the U.S., and the pressures facing this group. 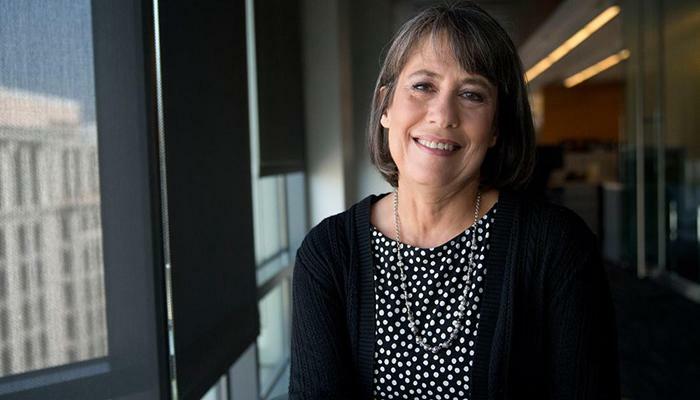 Sheila Bair, the president of Washington College and former chair of the Federal Deposit Insurance Corporation, reveals how stagnant wage growth has affected today’s middle class. This conversation has been edited and condensed. MarketWatch: What do you define as middle class? Sheila Bair: I view middle class as people who predominantly make their income from working, they don’t get a lot of investment income. I know there are all sorts of different definitions. I do think you work for a living. MarketWatch: What does it mean to be middle class today and how is that different from what it meant in decades past? Bair: There’s been tremendous pressure on wage growth. This recovery continues that trend, but it’s become more acute since the recovery. Since 2008, the distribution of the income gains from the recovery has been horrifically skewed towards the top. It’s hard to find real wage growth. It’s hard to find real opportunity. You feel like you’ve got a lot of cards stacked against you and you don’t feel like the government is working for you. Psychologically, it’s just not a good way to be, which is why you see this tremendous political unrest. MarketWatch: Speaking of politics, lawmakers seem hyper-focused on the middle-class, it’s a group that’s featured widely in stump and other speeches. Is that a mistake? Bair: They’re totally obsessed with it, but they’re not doing anything. [Editor’s note: Bair cited a lack of effort to reform the tax code in favor of the middle class, to increase spending on infrastructure and to take up other policies that could help the middle class]. MarketWatch: So many Americans believe themselves to be or aspire to be middle class. Is it a problem to be so obsessed with this concept as a society? Bair: It’s a very diverse demographic. It’s really unfortunate that some of the analysis of the most recent election — and the way the votes worked out — was so profoundly racial because this is something that’s hurting everybody. Whether you’re white or African-American or Latino, if you’re a family earner you are suffering. It would be nice to have politicians of both parties bridge those lines. MarketWatch: Are you middle class? Have you been middle class throughout your life? Bair: Most of my life I have been middle class. My husband and I have gotten into our peak earning potential, so we’re in upper middle class now. My dad was a doctor and my mother was a nurse. We were upper middle class, but we were in that cohort.